Stable performance with advanced PLC. revolute in the rails simultaneously in the infrared preheater. the procedures turn into a state of safety in case of a breakdown in certain procedure. No contamination and low noise with the air cylinder to drive the action instead of the oil pump. the machine easier to understand. 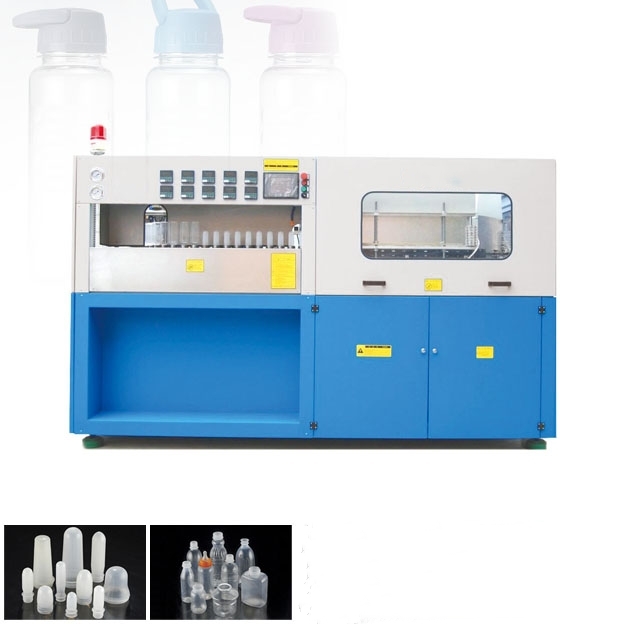 Low cost, high efficiency, easy operation, easy maintenance, etc, with automatic technological process. Contamination is avoided for the bottle body. Low rejection rate: less than percent. Ideal effect of the chilling with the chilling system.